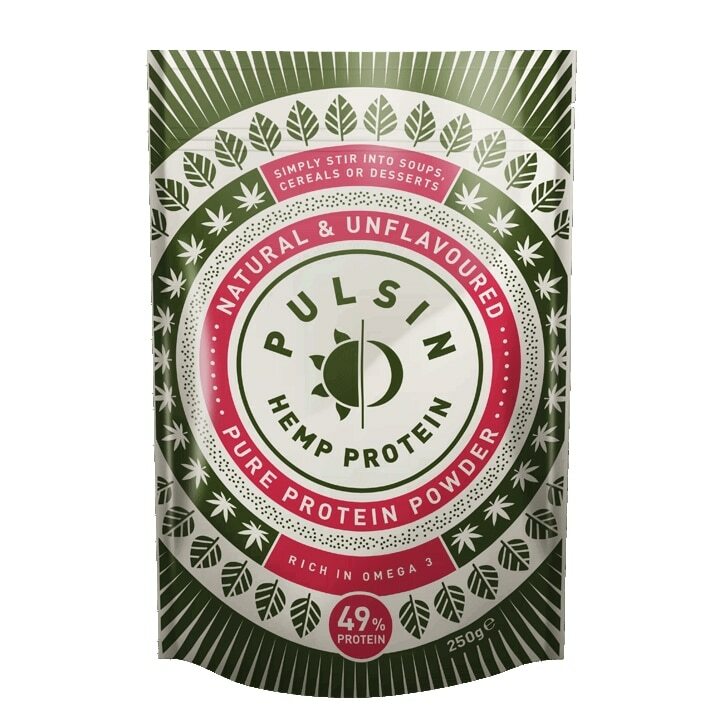 Pulsin Hemp Protein is rated 4.5 out of 5 by 25. Rated 5 out of 5 by RKBB from Tastes great, mixes well. Mixes well with juice, coconut milk or soy milk and tastes fine on it's own. Do what I do and add some fresh vegetable juice or apple juice , some flaxseed oil and a banana and you're in Help Heaven. I'll be back for me of this great product. Rated 4 out of 5 by lauradianne from Excellent !! I've had this product for a couple weeks now and I love it! It's a great vegan source of protein which I've added to a berry or green smoothie and doesn't effect the taste! Rated 5 out of 5 by Kooky69 from Hemp protein powder This product is great for adding texture and nutrients to cake recipes and smoothies. Product stays fresh in a foil line bag. Will definitely purchase again. Rated 1 out of 5 by Tahm from Return Hi I had not tried this product and bought two packets. It does not taste nice at all and is very bitter. Could I return the packet I did not open? I love your products but am sad about how bad the taste is! I literally can't drink it!